Pandora, LinkedIn, Box.net and many others are moving to HTML5 to give users a cross-platform, rich media experience. The latest to participate in this tend is SlideShare, a sharing platform for business documents, videos and presentations. SlideShare lets anyone share presentations and video and also serves as a social discovery platform for users to find relevant content and connect with other members who share similar interests. The company also has a huge enterprise following, and companies like IBM and others use the platform to curate content from all of their employees and partners on a branded page. Considering the trend towards content discovery on mobile platforms, it would make sense for SlideShare to have mobile offerings. But the startup has not offered any native apps and until today had a flash-based site that could be reached via the browser. Co-founder Jonathan Boutelle tells us that using the Flash-based site was a barrier for users accessing SlideShare from iOS sites. And when determining whether to build a native app for go HTML5, Boutelle said that building a mobile optimized site made the most sense because of the cross-platform capabilities to work on iPads, iPhones and Android devices. 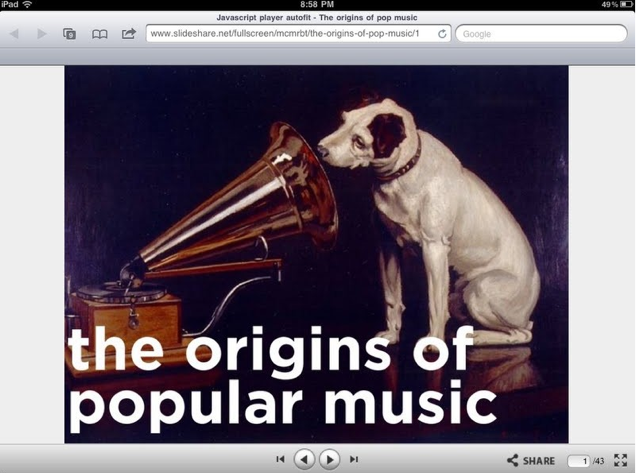 The new HTML5 SlideShare site now renders 30 percent faster and users can view, share, and interact with presentations. Boutelle says the latest version of the SlideShare site uses a patent-pending document conversion technology that renders all the details of a PowerPoint or Word document using nothing but HTML5. Currently, the site’s 60 million users upload tens of thousands professional presentations every day. 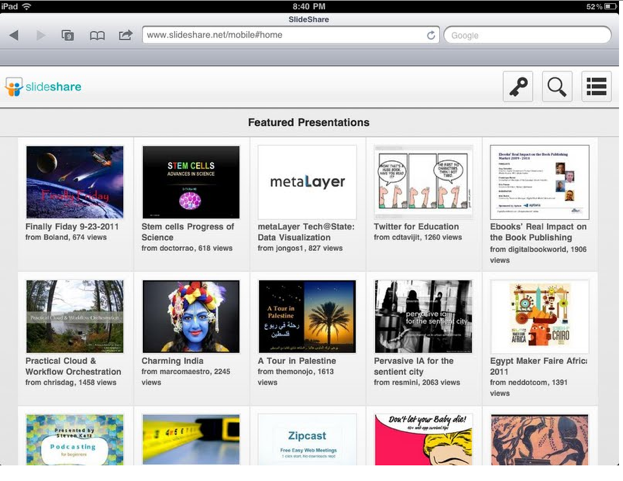 SlideShare has raised $3 million in funding from Jonathan Abrams, Mark Cuban, Dave McClure, and Venrock.